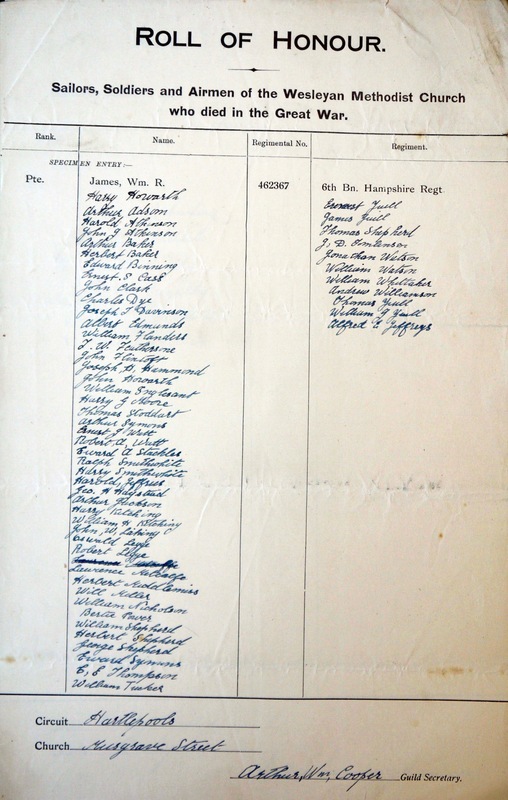 The Guild Secretary at Musgrave Street appears to have listed the fifty-six men from the chapel who served during the war. It has been possible to correlate some names with the records of the Commonwealth War Graves Commission, those on the West Hartlepool war memorial, and with the baptismal register for the chapel. In the following list the names of those known to have been baptised in the chapel are in bold; further details are given of the four men certain to have died; and a note is made of possible other deaths. Additional sources: Commonwealth War Graves Commission and North East War Memorials Project.